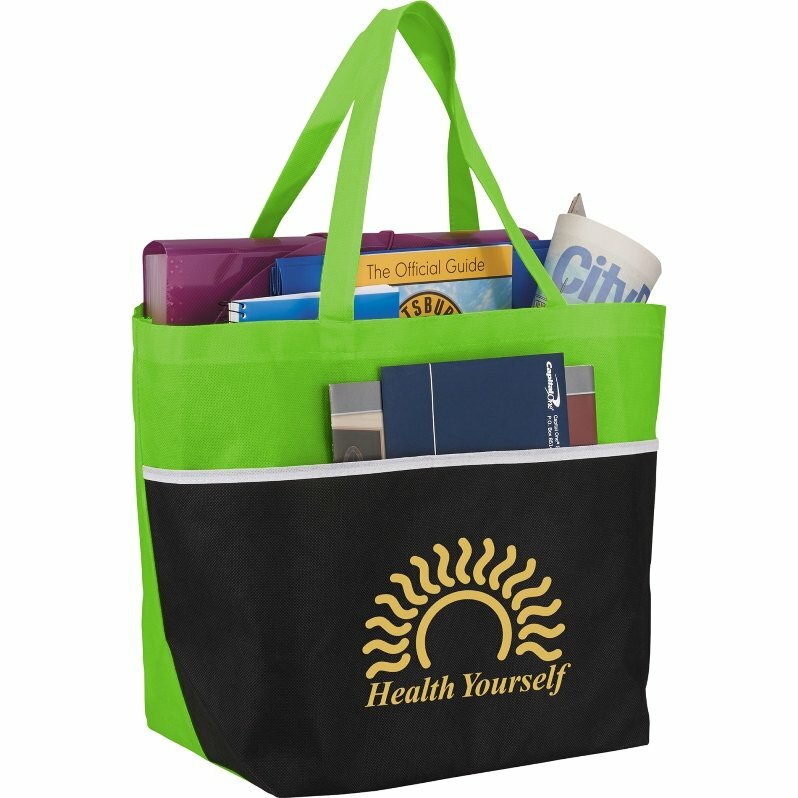 Buy this cheap tote at a low cost & get a logo printed on Fill It Up Bags. Applications include advertising, resort, convention, tradeshow, more. Construction is 80 gr non woven polypropylene with a front pocket. Extra large cheap tote is 20 w x 13 1/32 h x 8 d & 22" Handles. Price includes a one std. color print on front area 8" w x 5 1/2" h.
We needed marketing bags for a client at best price and found them at PII. I placed the order by phone, spoke with the sales manager. He walked me thru the ordering process being professional yet fun at the same time. The bags arrived in just 7 days and our client is thrilled with the bag, imprint and especially the cheap price. We will buy from Promotional Items again for other clients.